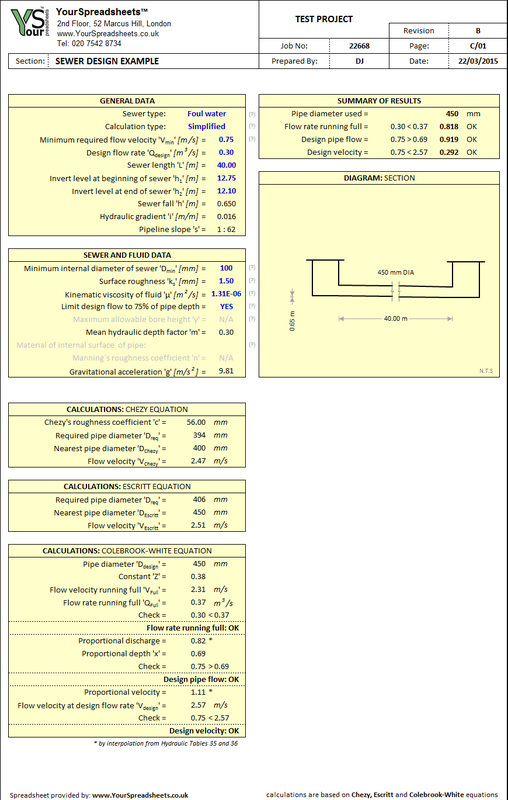 ﻿﻿Very easy to use spreadsheet for engineers involved in designing drainage. Allows to calculate volume of required attenuation storage to limit peak rate of run-off from development to an acceptable figure. 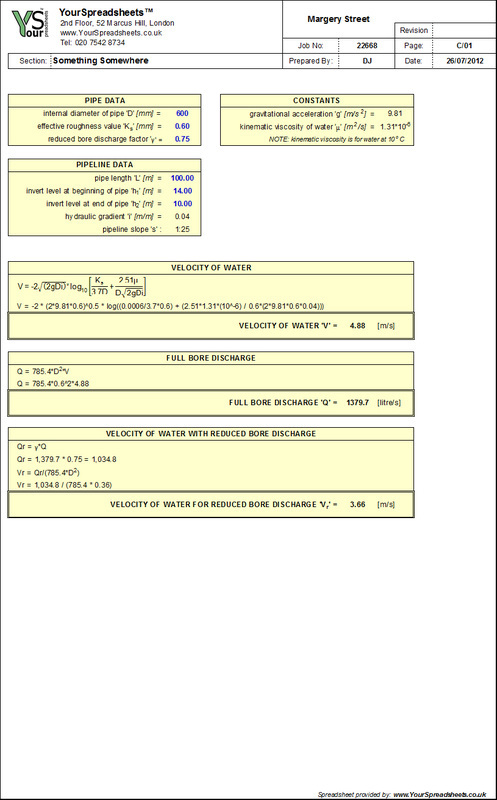 ﻿﻿A very simple and FREE spreadsheet for checking full bore discharge and water velocity for reduced bore discharge. 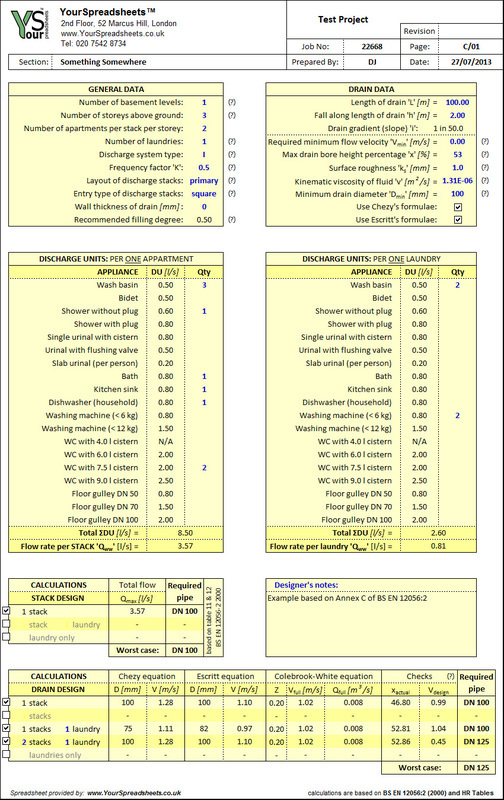 Spreadsheet for calculating discharge stack and drain diameters. Laborious calculations are now fully automated. Just specify number of appliances (basin, bath, etc) per apartment or laundry, and drain layout (e.g. two stacks plus one laundry) and the spreadsheet calculates required diameters. 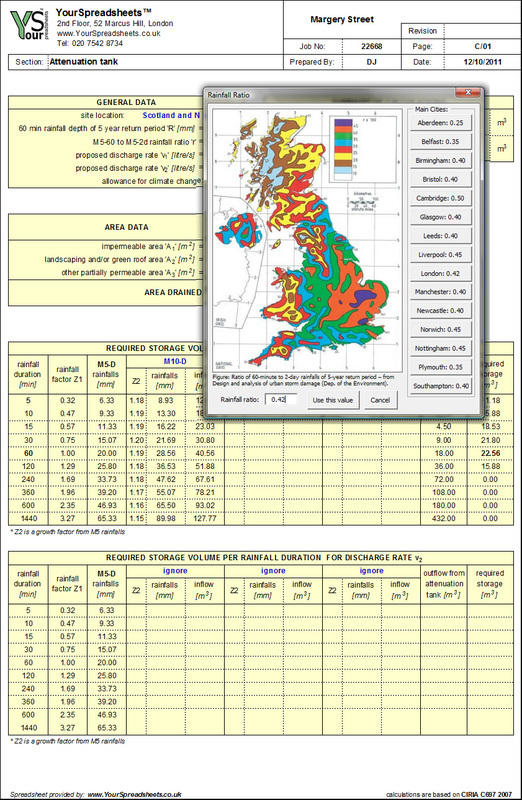 Calculates required soakaway size to store immediate stormwater run-off and then slowly dissipate it through infiltration into surrounding soil. Hence water is treated on site. 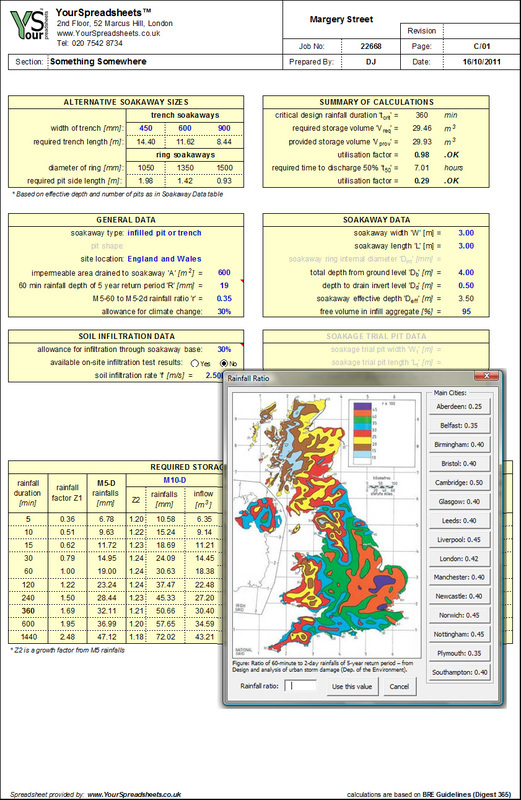 Spreadsheet is easy to use and is recommended for civil/structural engineers, builders and regular house owners. Checks required pipe size for surface water drain or foul sewer. Calculations are based on Chezy, Escritt and Colebrook-White equations.